Posted on 13, January 2016 by EuropaWire PR Editors | This entry was posted in Apparel, Fashion & Beauty, Germany, Internet & Online, Technology and tagged digital, fragrances for smart phones and tablets, Isabelle Vacheret, Symrise. Bookmark the permalink. Holzminden, Germany, 13-1-2016 — /EuropaWire/ — The Symrise Genealogy of Fine Fragrances enters the digital world with its own App for mobile devices. It allows customers to instantly search for fragrances anytime, everywhere, thus offering them a smart device experience of the Fine Fragrance genealogy. The Genealogy app entails classical elements of mobile devices. Both, within the masculine and feminine versions, a user-friendly navigation guides directly to product families, the alphabetical index or a direct search function. With practical zoom and scroll functionality users can swiftly maneuver through all nine fragrance families and go directly to their fragrance of choice. Every fragrance family and single fragrance comes with a detailed description. The fragrance app also supports connectivity by adding preferred scents to favorites and a share via e-mail functionality. 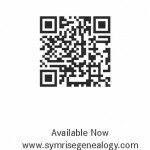 The Symrise Fine Fragrance Genealogy offers a complete overview over the most popular fragrances of today as well as the past four decades. Grouped into feminine and masculine fragrances and the nine fragrance families – perfume enthusiasts find comprehensive information on the most successful fragrances. Over 40 years, Symrise has been mapping the most successful and popular fragrances worldwide and has clustered them into a tabular overview according to their launch year and fragrance family. Symrise is a global supplier of fragrances, flavorings, cosmetic base materials and substances, as well as functional ingredients. Its clients include manufacturers of perfumes, cosmetics, food and beverages, the pharmaceutical industry and producers of nutritional supplements and pet food. Its sales of more than € 2.1 billion in the 2014 fiscal year place Symrise among the top three companies in the global flavors and fragrances market. Headquartered in Holzminden, Germany, the Group is represented in over 40 countries in Europe, Africa, the Middle East, Asia, the United States and Latin America.